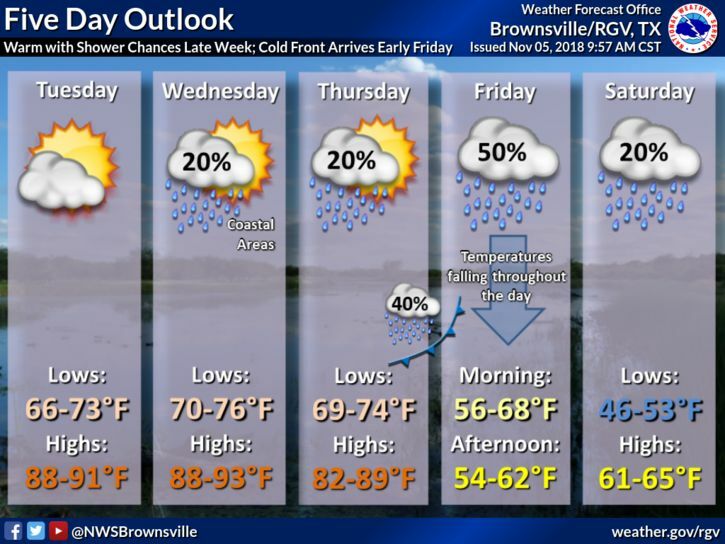 A cold front should drop temperatures more than 20 degrees from Thursday to Friday, according to a forecast by National Weather Service in Brownsville. Skies should remain partly cloudy with highs in the 80s and 90s until the cold front early Friday morning. There’s a small chance of showers Wednesday and Thursday. Friday’s front brings an increase chance of rain with highs in the 60s Friday and Saturday.